Consider how your customers describe your product. What would they type in the search bar to find your product? Make sure to add the most relevant of these descriptions to the title. Then, in your bullet points and product description, do a thorough job describing the functionality of the product. Be sure to include specs like size, material, thickness, etc. Include other key product descriptors, too — for example, if you think of something as a ‘couch,’ be aware customers may think of it as a ‘loveseat.’ Include both words in your listing. 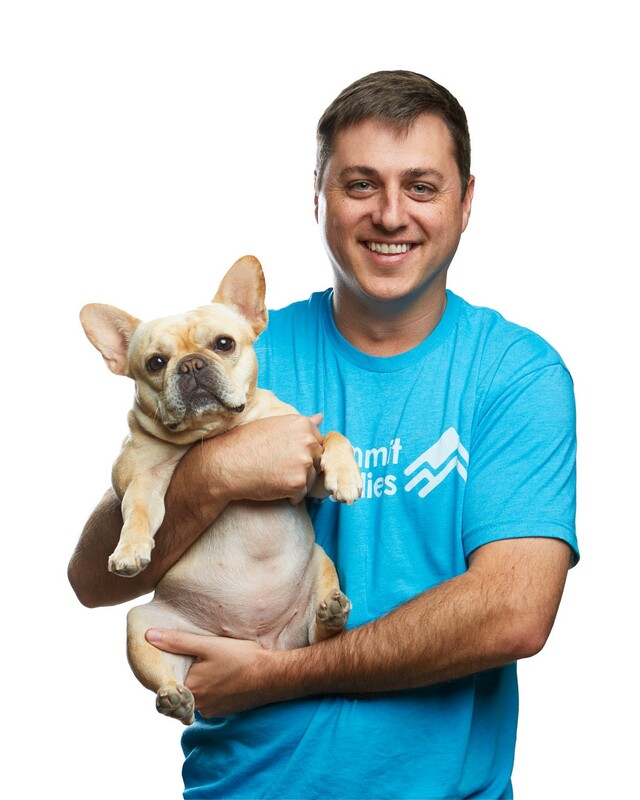 As a part of my interview series about “Five non-intuitive things you need to know to run a very successful Amazon business, I had the pleasure of interviewing Owen Franklin. 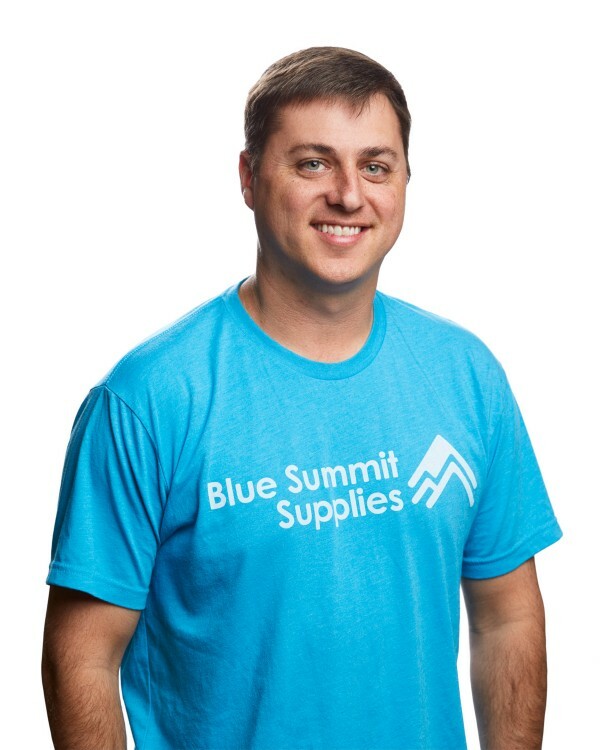 Owen is the founder and CEO of Blue Summit Supplies, an eCommerce solution to overpriced big-box office supply stores. He spent a decade engineering rockets, earning a bachelor’s and master’s degrees along the way, only to realize he was frustrated with the lack of positive change he was bringing about in the world. 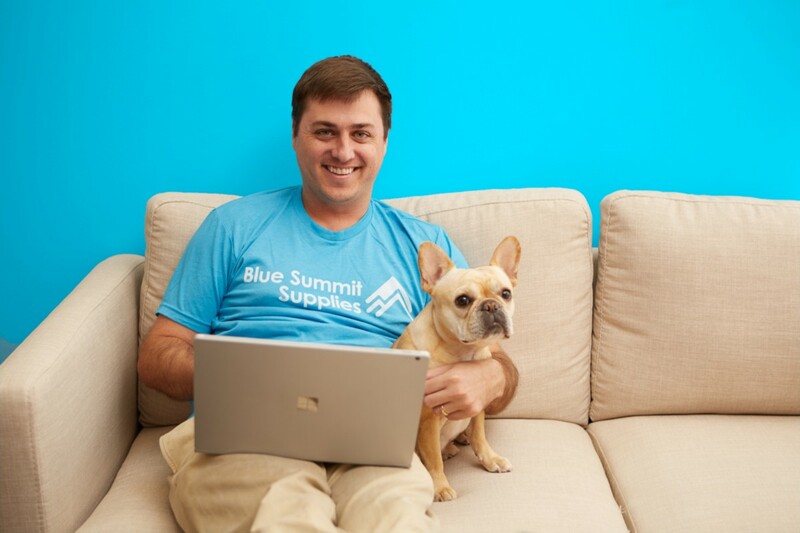 Now, with his wife Tiffany, his French bulldog, Larry, and the Blue Summit Supplies team by his side, he hopes to impact the world for the better — through the power of office supplies. Blue Summit Supplies happened as the result of my frustration with my job combined with my irritation at inflated big-box office supply pricing. I had gotten my master’s degree in mechanical engineering and was working at a job where I felt like I made no difference, which was a frustrating feeling. I began tinkering on the internet, looking for ways to add value and make a positive difference. I started by selling envelopes — and quickly realized there was a huge gap between buying envelopes at cost and what big-box office supply stores were charging. So I decided to test out selling my own supplies for much less. That was two years and a lot of envelopes ago. In my opinion, to be successful selling on Amazon, you have to be driven. There’s no ‘set it and forget it’ formula for success — you have to be relentlessly focused every day, in all paths, whether it’s by closely monitoring your data or constantly optimizing your listings. It’s this attitude that’s helped us build a multi-million dollar company in less than three years through Blue Summit Supplies sales on both Amazon.com, for customers shopping for office supplies at home, and for the millions of business customers that shop for work on Amazon Business. Really, the whole career story in itself has been crazy. My whole life I wanted to be an engineer and work on rockets. I earned a bachelor’s and master’s in mechanical engineering and began working on mechanical and thermal design on missiles and rockets… only to find myself a few years later in an office full of a dozen people I’d hired, selling paper products on the internet. And I consider paper products a big jump from rockets! But life always throws you curveballs. I can honestly say selling paper is more fun than building rockets. I get to wear a t-shirt to work, I get to experiment, I get to have fun at my job! I get to see my ideas unfold in real time and make decisions that impact others. And most importantly, I get to bring my dog Larry to work with me every day. If you told me I would be selling office supplies online three years ago, I would have laughed you out the door. But I love it, my team loves it, and we’re happy to have the opportunity to be a part of the future of commerce. It wasn’t funny at the time, but we laugh about it now. Basically, we ordered tens of thousands of dollars’ worth of whiteboards without the proper packaging. We sent them to customers and they arrived damaged, so we had to throw them all away. It was a miserable experience for not only myself and my employees, but also for our customers. We knew it was absolutely important to maintain trust with our customers to not let this type of scenario happen again. It taught us an incredibly valuable lesson: that eCommerce and product design aren’t just the product itself, but everything. You have to be obsessive about everything from start to finish. You can’t just consider one thing, you have to consider all things — how the product’s barcoded and packaged, as well as how the warning labels are applied on anything from a polybag to a whiteboard box. And although we had a good whiteboard, we had bad packaging, so the whole thing was useless and we lost money. But the lesson was invaluable. I think it’s exciting how we started the company by tinkering with selling on Amazon, then Amazon Business, as well as learning about eCommerce in general. I’ve been fortunate to have grown the company by over ten employees. And mind you, we don’t exactly know what we’re doing, but we’re figuring it out. We’re reading and obsessing over great leaders like Jeff Bezos, Ray Dalio, and Larry Page — about how they did it and how we can do it. It’s a fun challenge to learn while also scaling the business and making it more efficient as it scales. Organic ranking is key! When you organically rank, you get access to millions of customers with high buyer intent for free. Think of getting Park Avenue real-estate that is rent-free…it’s incredibly powerful. However, getting those top organic spots is not easy. It takes time, along with an Amazon and Amazon Business listing and strategy that is optimized to rank. Here are a couple of quick tips. After you’ve optimized your product listings, run sponsored product ads. This of course costs money, but you need visibility for your products. No one can buy it if they can’t see it. For example, at your local grocery store, there are four brands of ketchup, but there are only three slots. I don’t care what your price is; if you aren’t in the front of one of those slots, no one’s going to see your ketchup and no one’s going to buy it. Use your data! Don’t only optimize the ad campaigns to improve performance, but instead use the data to make your listings better. Going back to our couch example — let’s say you describe the product as a couch in your title. But you’re getting tons of clicks for the word ‘loveseat.’ This means your customers call this item a loveseat more often than a couch. At this point, consider adding the word ‘loveseat’ to your title since the title is prime keyword real estate. Consider expanding internationally. With Amazon Business, we were able to tap and expand into the huge international market that is out there, and our account management team supported us through the transition. To expand successfully, I recommend embracing FBA (Fulfillment by Amazon) — it not only saves time and money, but also ensures your product gets to your customers all over the world in two days or less. We would not have been able to expand to Europe, Canada, and Mexico without FBA. Amazon has the greatest fulfillment network on the planet; I recommend you take advantage of it. Have a holistic strategy in place and be relentless. You can’t just throw up a listing and expect it to get visibility. You have to optimize the listing, run sponsored products, run sponsored brand campaigns, and run product display ads; then, you must collect the data, act on the data, and repeat. With Amazon and Amazon Business, you’re able to monitor your pricing versus your competitors’. Monitor this data and make sure you’re getting visibility, then monitor the conversion rate to ensure your listing is performing well. If conversion rate is low, split test your listing copy. If sessions or click-through rate on your ads are low, split test images and titles. Monitor your listing reviews and return rates to get ahead of problems. A good rule of thumb is reviews should be above a 4 star; really, above a 4.3. If not, you have a quality problem, the listing doesn’t accurately describe the product, or you have a packaging problem. Also, return rates above 5% generally mean you have a problem. You must deal with these problems ASAP or your success on the listing will likely fade. I think some sellers on Amazon have reputations for being guerilla marketers because they do little hacks here and there. Although those can be successful, I think they’re very niche and only work at a small scale. For a big company, you need to think about how you can scale operations on the largest marketplace on the planet. You can’t do a little hack here and hack there, that won’t move the needle. Instead, a big brand needs to approach Amazon in a holistic way: thinking about all their listings instead of one or two, thinking about brand presence on the site and how they can optimize it. They need to think about optimizing listings — great quality pictures, copy that makes sense and tells the customer why they’re buying the product and consistent pricing. You only need to have one listing per UPC code (no duplicate listings), and you need to make sure your products are advertised — using sponsored products, sponsored brands, and display ads. It needs to be a cohesive strategy, not just a little hack for this or for that. It’s something I’ve thought quite a bit about as the business began to grow. I had to figure out what I want from this company and what I valued in a business, in a job. Fortunately, the business has been successful enough to give me the ability to choose which direction I want to take it in. As a motivated student and employee, I always wanted to go work somewhere and make a difference — I wanted my job to matter, to make a positive impact on not only the people around me but to the job I was doing. My last job didn’t do that, and it was very demoralizing. So, a lot of my efforts are trying to create a company that inspires those who work here, to be a part of something bigger that builds something that benefits not just the customers or themselves but everyone we work with. We want to build a very large organization so we can positively benefit as many people as possible. Today, we have hired 11 more employees and hope to grow our team as large as we can. As we grow, we can inspire more people, add more value for both our customers and employees, and increasingly benefit our local community and economy in Huntsville, Alabama. Ray Dalio talks about struggling well, and I know the truth in it. Everything difficult I’ve done has been the most worthwhile. I’m trying to do difficult things because it pushes me to do better — it’s like Jeff Bezos has said, he wants to be able to see how far his ideas can go. And I feel the same way; I’m just trying to give something a shot. I don’t really know what I’m doing yet; I just want to see what happens. If we make a big impact, awesome. And if not, then at least we know that we tried. Jeff Bezos… no question. He built what I believe to be the most incredible company ever, and I’d love to talk with him one-on-one to ask questions about how he makes his decisions. It’s my job to make good decisions on behalf of my company, employees and customers. The way I see it, Jeff Bezos has made many impeccable business decisions. I don’t know how he does it, but I want to learn.